We were fortunate. We have Julian to thank. He was able to arrange a private tour and tasting in Champagne for us. 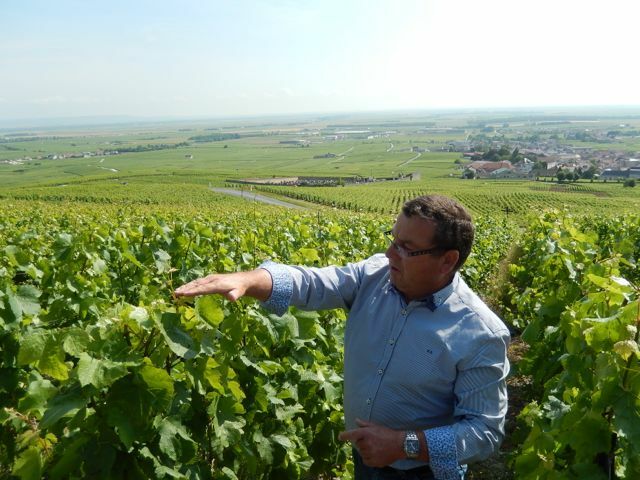 Alain Pitiot is a small champagne producer in the village of Les Mesnil. The vineyards surrounding his home are either Grand Cru or Primer Cru with Grand Cru being the highest quality and Primer Cru the next level down. In fact his home literally backs up to Clos Mesnil one of the three most famous vineyards in France. The other two are Romany Conte and Petrus. 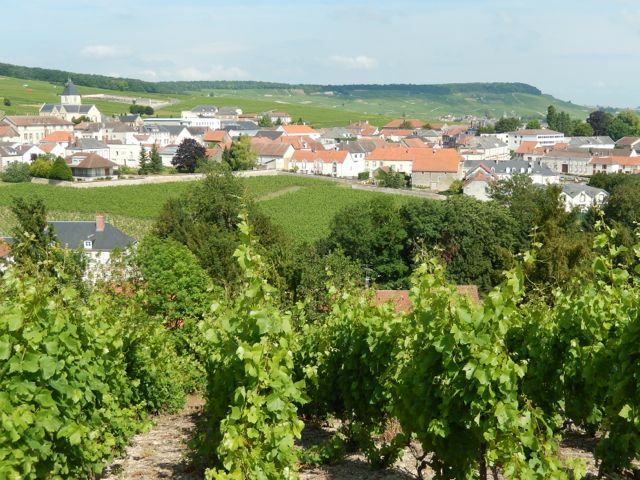 The champagne from the Clos Mesnil vineyard start at around $300.00 per bottle, and go up from there. His father was the caretaker for this small vineyard, which is less than three acres. Clos Mesnil vineyard with Alain’s home behind the wall in the center of the picture. We met Alain in front of his house where of course we were invited in for champagne and hor’dourves. After enjoying a full magnum of champagne, which is equivalent to two bottles, Alain drove us to his vineyard. 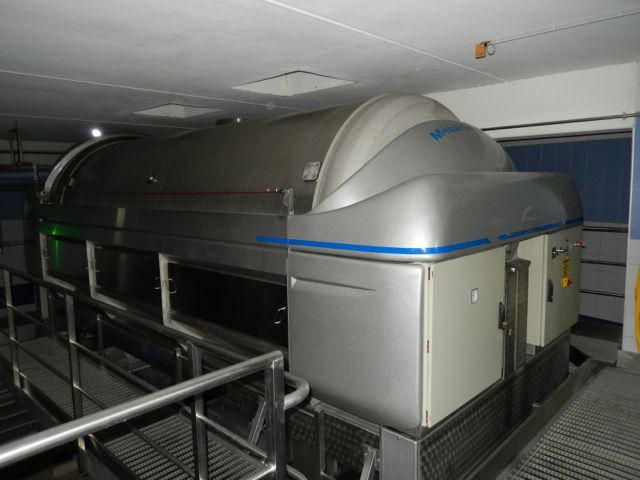 There we were shown how strict the Government is when it comes to growing champagne grapes. The stakes at the end of each row can only be a certain height. 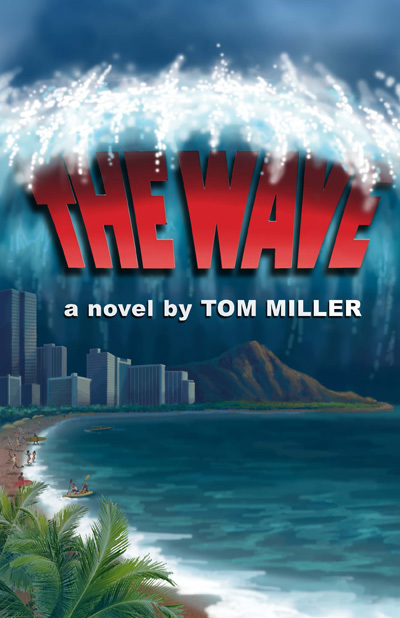 There are three wires strung along each row, and the height is government controlled. We watched a specialized piece of equipment trimming the vineyard to a pre-determined height and width. Each vine at the time it produces grapes can only have three grape producing stems. 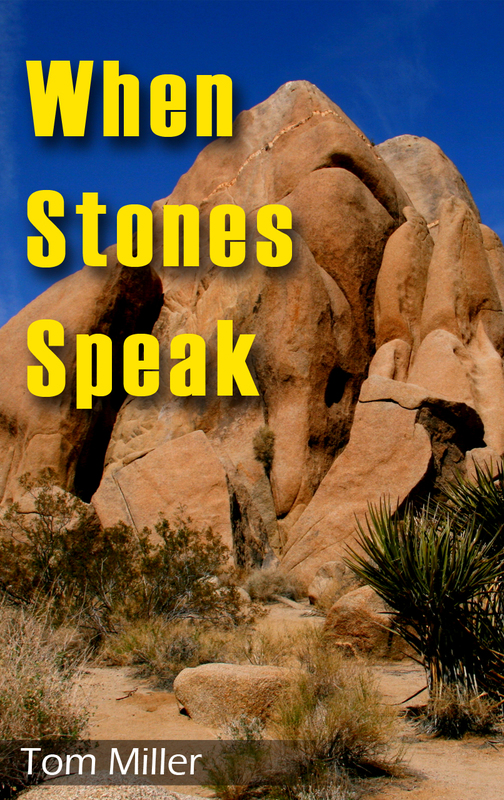 Alain said he names each stem, and with so many grapevines it’s a lot of names to remember. We’re pretty sure he was kidding, but he does decide for each plant, which stems stay and which go. While the government strictly controls the growing of grapes in Champagne it is the champagne producers that actually make the laws. It’s an interesting relationship they have, as they want to make sure all of the champagne produced is the best possible. 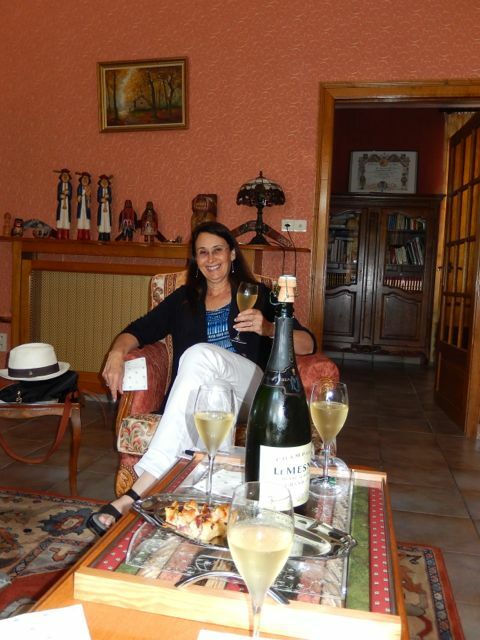 Lisa enjoying some champagne at Alain’s home. Alain showing us the height vines must be trimmed to. 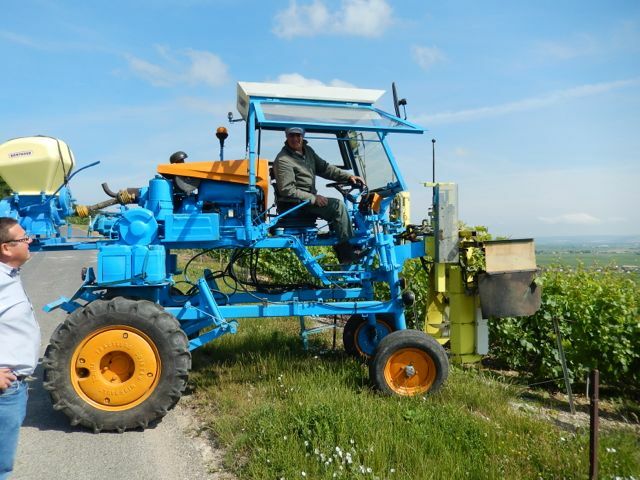 The machine that trims the vines. From the vineyard Alain took us to a restaurant in his little village that was once the train station. We insisted on buying lunch, but he insisted on buying the champagne. We knew we were in Champagne because the restaurant was full, and every table was drinking at least one bottle of champagne. Our lunch was excellent. 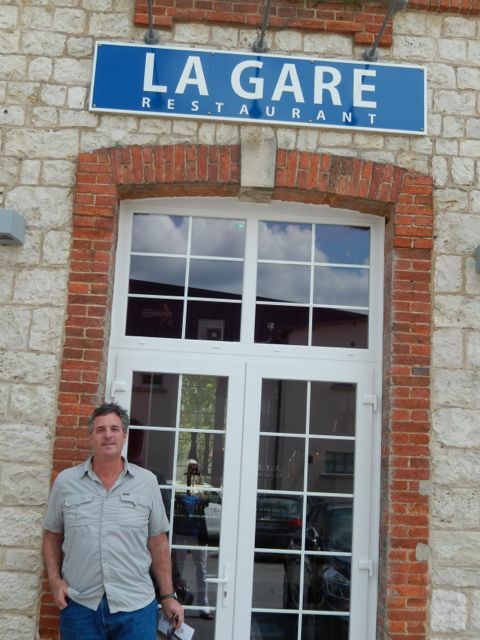 Here I am standing in front of La Gare Restaurant. 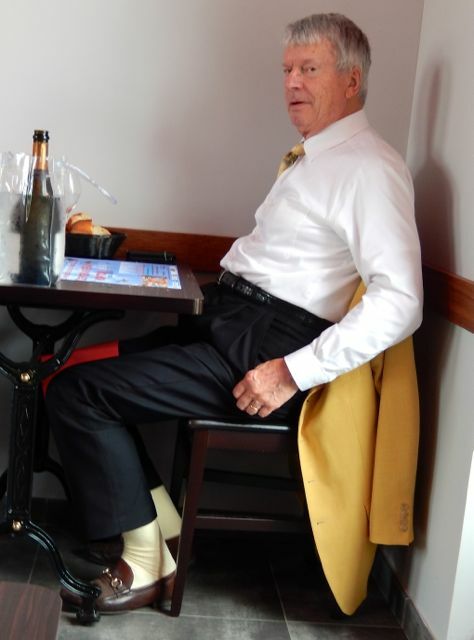 Lisa thought she wouldn’t be noticed when she snapped the picture of this man with his yellow socks, tie and jacket. His name was Hubert, and he was real kick. He said he had on orange underwear. After lunch we went to the cooperative Le Mesnil Sublime that Alain is a member of. He and 600 other grape farmers pool their crops to make a handful of champagnes. It is the only way they can compete in today’s world. After our visit to the cooperative we went to Guy Charlemagne where his lovely daughter Juju gave us a tour of his champagne making facility. They are small producers, but apparently large enough that they don’t have to belong to the cooperative and can make their own champagnes. Between Guy Charlemagne and the cooperative we walked out with a case and a half of champagne. That should come close to lasting the rest of our trip this year. Right now none of the champagnes at the cooperative are barrel fermented. 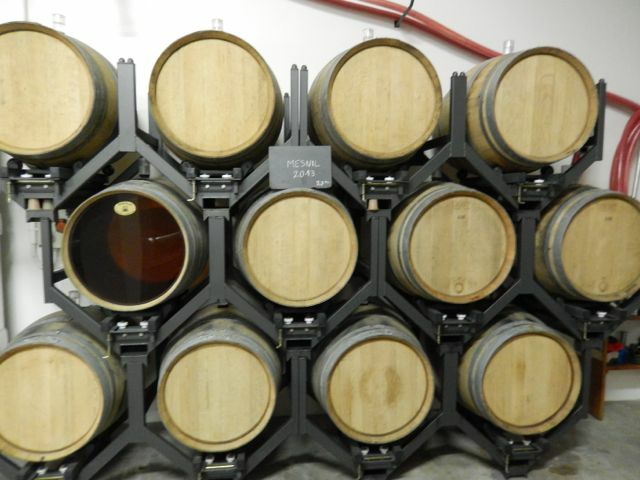 These barrels are an experiment to see if they want to start. A modern crusher at the Le Mesnil Sublime Cooperative. The grapes drop down from the holes in the ceiling. 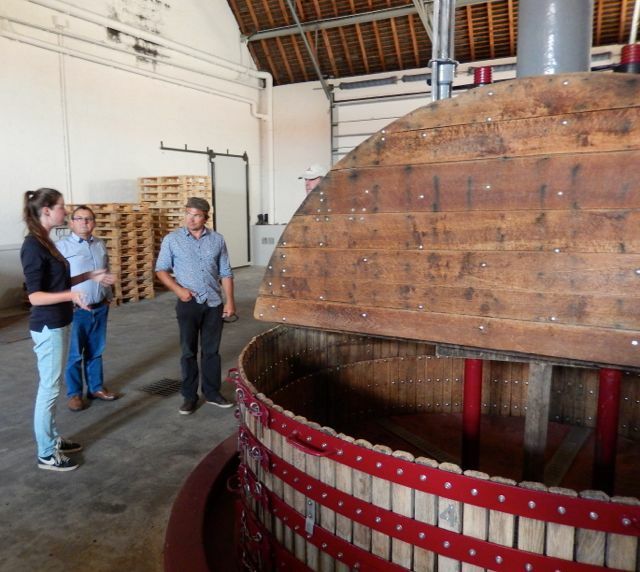 Juju showing us the traditional crusher at Guy Charlemagne. It was getting late, and we needed to get back to Rabelo, Alain insisted that we return to his home for one more special bottle of champagne. So that was four bottles for the four of us. I had told Julian that he was driving so he had to watch what he was drinking. The French don’t screw around when it comes to drunk driving. You are considered driving impaired with an alcohol level of .05 instead of .08 like in California. After four bottles of truly superior champagne we were definitely a happy group. As we were getting into our car, and saying our goodbyes, Alain had one more surprise. He handed us a magnum of champagne. When we tried to explain that he had already done way too much for us his reply was, “Champagne thanks the Americans.” Wow! What could we say?